Love collectibles, action figures, toys, and games? Are you a kid (or maybe a kid at heart)? If the answer is yes, then we have some GREAT news for you! Join us for a celebration of play and entertainment at the first ever Play Fair 2016, an interactive and fun-filled live event open to the public, running concurrently with Toy Fair, at the Jacob Javits Center in NYC on February 13 and 14! Buy tickets at Midtown Comics! If you can’t make it into any of our physical locations, you can still purchase tickets online today! Toy Tokyo brings a Dorbz Ridez Batman ’66 Blue Batmobile with Batman Exclusive from Funko to Play Fair. 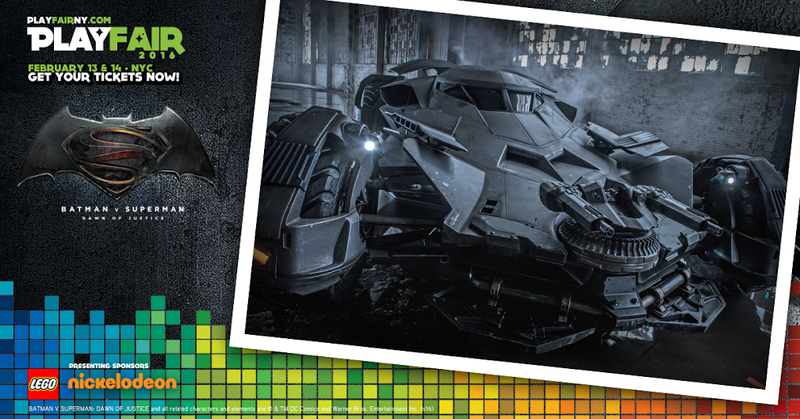 The Blue Batmobile is $40, available in limited quantities, and will be for sale only at the Toy Tokyo Booth.